According to reporting from the Sun-Sentinel, four men from South Florida have been sentenced to prison for their role in a $25 million sweepstakes mailer fraud scheme. The men received sentences of varying length, with the longest sentence going to the man who was accused of being the lead preparator: Matthew Pisoni of Fort Lauderdale. Mr. Pisoni was given the maximum possible sentence of twenty years in prison. Many victims all of the world were affected by this large-scale consumer fraud scheme. According to prosecutors, there were victims in Japan, Great Britain, and all across the United States. Though, many of the fraud victims were concentrated in the home territory of the scammers, that being South Florida. In this post, our experienced Miami business and consumer fraud attorneys explain how this scheme worked. The core tactic in this consumer fraud scheme was relatively simple and incredibly brazen: The South Florida men sent notification letters to people around the world. These letters falsely stated that the recipients had won a large financial prize, and that all they had to do to claim the prize was pay a small fee ($25 or $50). Of course, in reality, there were no winnings. One of the most distressing and disturbing parts of this fraud scheme is that the perpetrators intentionally targeted some of society’s most vulnerable people. Specifically, they went after the elderly. Sadly, this is a common tactic used by fraudsters. They look for victims who are at-risk of being taken advantage of. According to records provided to the court, the scheme had less than a ten percent success rate. Yet, these fake notifications letters were sent to hundreds of thousands of people. As a result, more than 100,000 victims were taken in by the fraud, and $25 million was stolen from innocent consumers. This fraud scheme was very straightforward, to the point of being outright theft through unlawful misrepresentation. However, the fraudsters did attempt to make many efforts to hide their tracks from authorities. They used a web of shell companies and a wide net of random mailboxes to launder the ill-gotten money back into their own hands. Thankfully, due to the hard work of Florida law enforcement officials and state and federal consumer protection agencies, this fraud scheme has finally been put to an end and the perpetrators have been punished for their crimes. 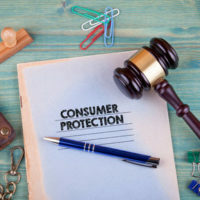 At Pike & Lustig, LLP, our aggressive Florida consumer fraud lawyers have helped many victims get full and fair compensation for their financial damages. To learn more about what we can do for you, call us today to set up your free, no obligation case review. From our offices in Miami and West Palm Beach, we handle consumer fraud claims throughout the region, including in Jupiter, Fort Lauderdale, Miramar, Palm Beach Gardens and Lake Park.